The European Union's top court backed the fashion brand in a decision on Tuesday, ruling that its use of the iconic red color means that its shoes can be trademarked. 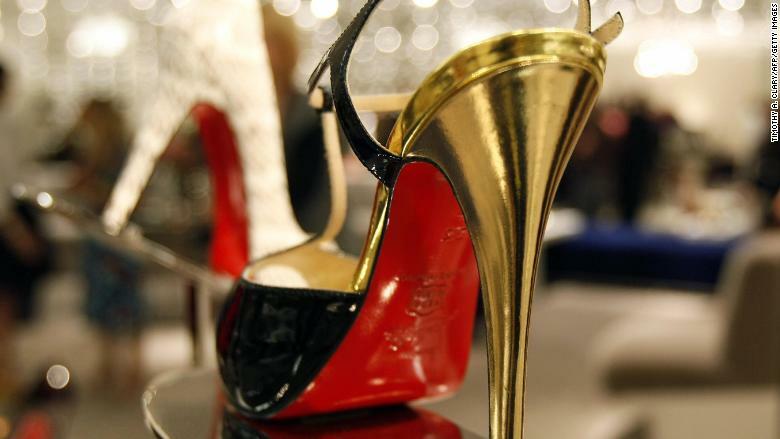 "Christian Louboutin warmly welcomes this judgment," the company said in a statement. "For 26 years, the red sole has enabled the public to attribute the origin of the shoe to its creator." An example of Louboutin's red soles. "A mark consisting of a color applied to the red sole of a shoe is not covered by the prohibition of the registration of shapes," the judges wrote in their decision. A Dutch court is expected to deliver a final ruling based on the European Court's advice. Decisions from the high court are rarely overturned.